When I came to the USA I was astonished about how popular the Mexican sugar skulls are at the same time that Mexicans were considered either annoying illegal immigrants or second grade citizens. "Mexican" food was reduced to either the McDonald's founded and previously owned Burrito-Restaurant Chipotle or the Tex-Mex kind of thing. I found artisan beer made with Agave Nectar, which also was a fancy substitute for sugar and everywhere I saw sugar skulls. First I was upset how the US-Americans dared to steal our traditional images and make it their own. It was until a Mexican friend told me: "Don't worry Kirsten, they're not stealing, it's just a transcultural process." 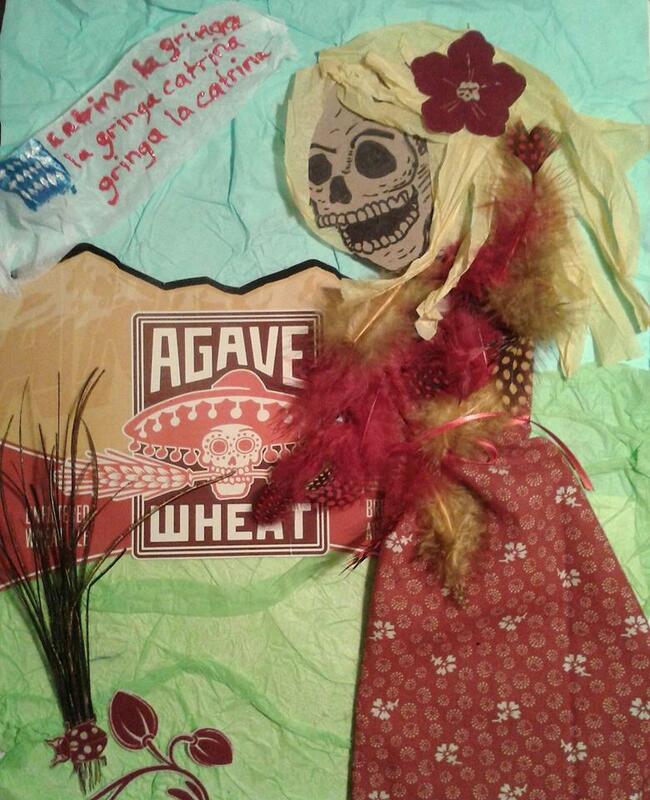 The famous Mexican female skeleton, La Catrina, has become a gringa.